Implementing a POS system is a process that requires time and patience, and many small business owners may feel overwhelmed by the choices they are presented with. How do you choose the right system? Can you afford to purchase your system outright? What sort of technology and hardware will the system come with? Are there any hidden fees? What are the costs for processing? Any POS system is a major investment, and one that shouldn’t be taken lightly. If you’re considering installing a POS system for the first time – or even if you’re upgrading to a new system or shopping for a better alternative – there are a few things you should know about owning your system first. Do You Need a New POS System? For the most part, you should only be investing in a new system if it’s going to be an improvement on your current situation. It’s important to understand how your POS system fits into your overall business goals. Are you trying to save money because you want to expand your business? Are you frequently missing money that should be in your cash register, and you want a better system of accountability? 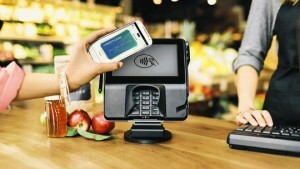 Are your customers asking more about Apple Pay? Whatever the reason, you should first make a list of goals that your POS system could help you accomplish. Then, ask yourself what you can afford. There’s more to a POS system than just technology. You have to consider the cost of implementation, installation, credit card processing charges, and most importantly, support. Which situations are covered by the initial costs of purchase? Will you be paying for anything out of pocket if something goes wrong? Will there be any surprise fees at the end of the month? Can the POS change with your business, without causing a disruption in service or loss of current income? The average lifespan of a POS system is about five years, so any financial investment you make will be a commitment. Traditionally, small businesses purchase POS systems outright for a one-time fee. This often requires business owners to save up money to make the purchase or take out loans to supplement the income if the business is struggling. This one-time fee also doesn’t account for credit card processing fees, support fees, or any upgrades your software or hardware needs to go through in the 10 or more years you will own it, and with the constantly evolving technology available today, it’s only a matter of time before your system becomes obsolete. You also have to worry about maintenance. While owning a POS system means you have full control over your data, it also means you have to pay for any maintenance issues that arise. With all of that weighing on your shoulders, we can understand why upgrading your POS system can be a daunting process. Although making a one payment may sound appealing at first, it can actually cost you more in the long run, especially if things go wrong or technology continues to shift the way it has been for the last several years. You may be all but required to upgrade to features like Apple Pay to stay relevant. In fact, as technology advances, you may be all but required to upgrade to features like Apple Pay to stay relevant. And if you want the latest technology, you should buy a system that can handle it. But what if you’re strapped for cash, or you’re still not sure you need that technology just yet? A better option for you might be rent to own, which would allow you to rent your system until you can afford to buy in outright. You pay a flat monthly fee of $59/month for your POS services, and you can upgrade to all the latest features without needing to put down a large payment up front. This ensures that you will be able to meet customer demands both now and in the future without having to sacrifice your finances. Rent to own is also a great option if you’re not technologically savvy. It’s important to consider the technical support available when looking at POS systems. As we mentioned before, many systems offer support for an additional fee and don’t cover everything you need. And you don’t have to worry about maintenance, since most rent to own systems are based on cloud technology, so there’s no physical server that can malfunction during business hours. Even if you do know your way around technology, keep in mind that even the most competent person will at some point need help, whether with installation, transition, or simply to answer customer questions. You want a system that comes with a great team that can answer all of your questions (and problems, should they arise) in a timely and efficient manner without costing you more money. So, should you own your POS? Yes. But you don’t need to make a huge commitment to reap the benefits of the latest technology. Rent to own is a great solution for small businesses who want to upgrade but have tight budgets or need more support for their customers (or for themselves!). One thing to keep in mind when looking for a POS system is to focus on what you really need, not just right now, but in 10 years from now. The biggest complaint we hear from business owners is a lack of transparency from POS companies who tell them they will be getting features they never end up using (or they don’t get features they end up needing). That’s why it’s important to take the time to clarify what you need now and to be informed about what changes you may want to make to your business (e.g., Will you expand? Will you start an online store?). Don’t be afraid to ask tough questions, and remember that your POS exists to serve YOU, not the other way around. 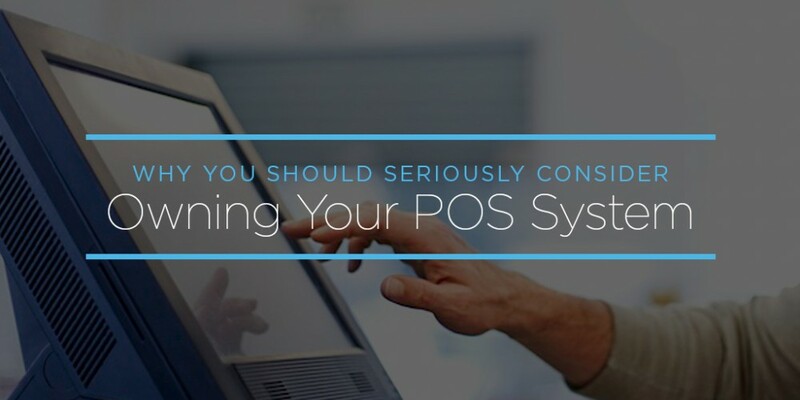 Here are some great questions to ask if you’re considering investing in a new POS system. Subscribe to download this great list.